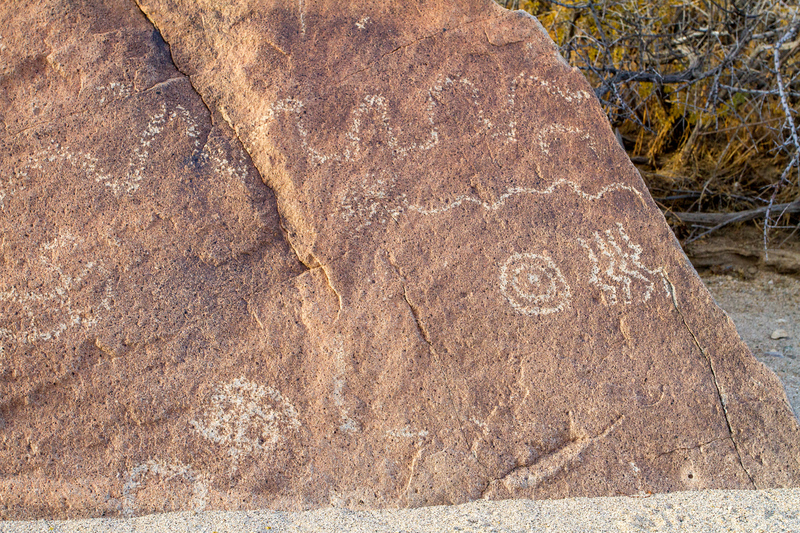 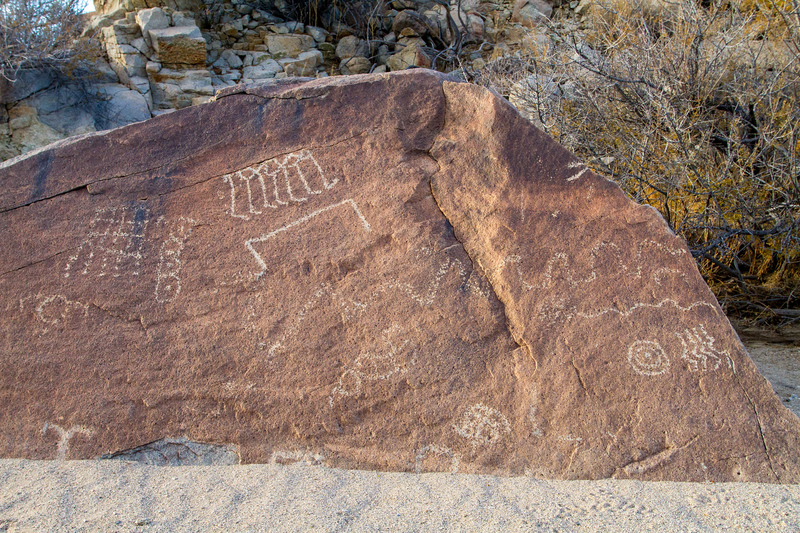 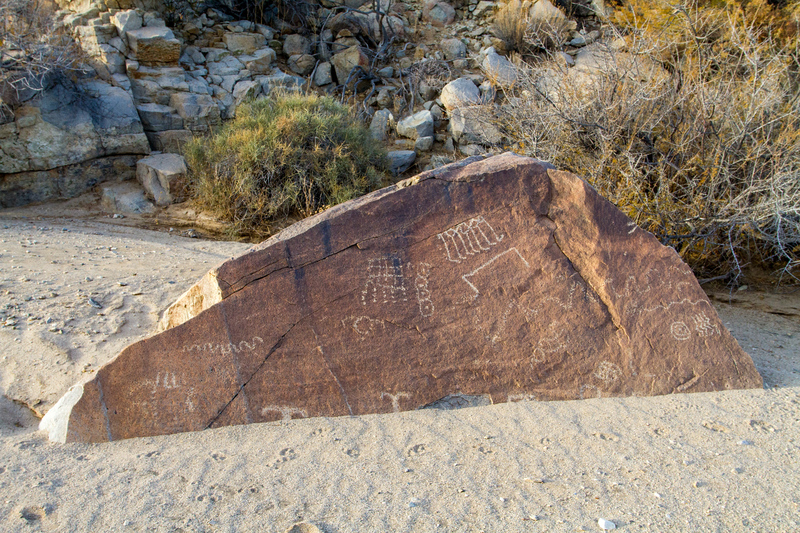 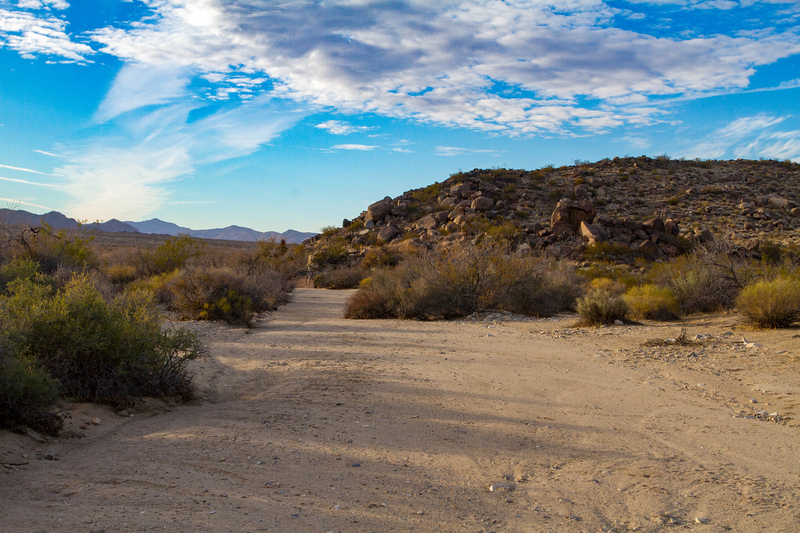 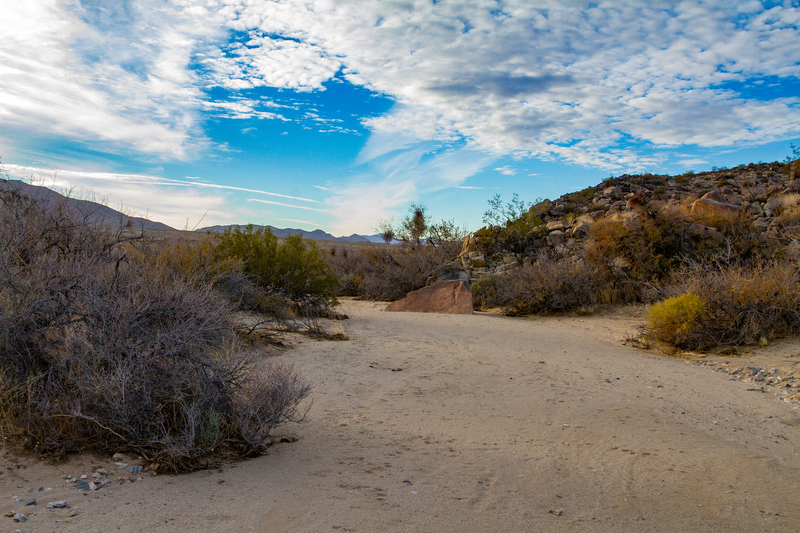 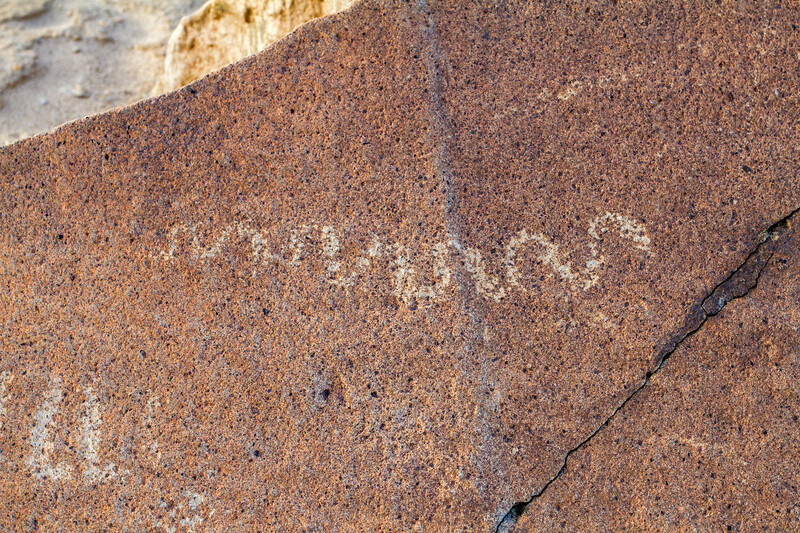 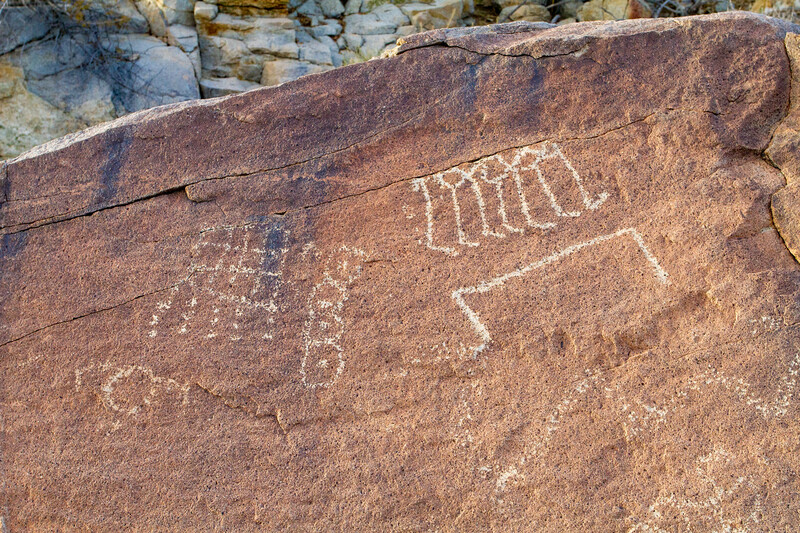 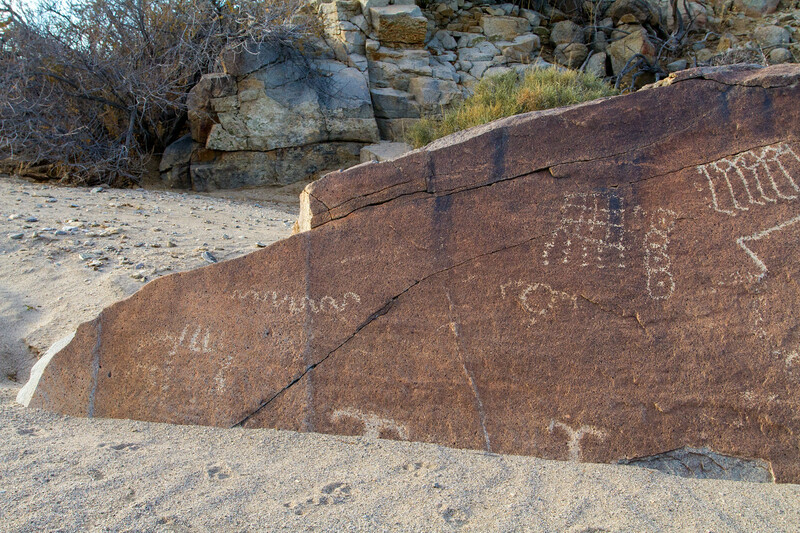 This lone petroglyph boulder is way out in a wash deep into the Joshua Tree wilderness. 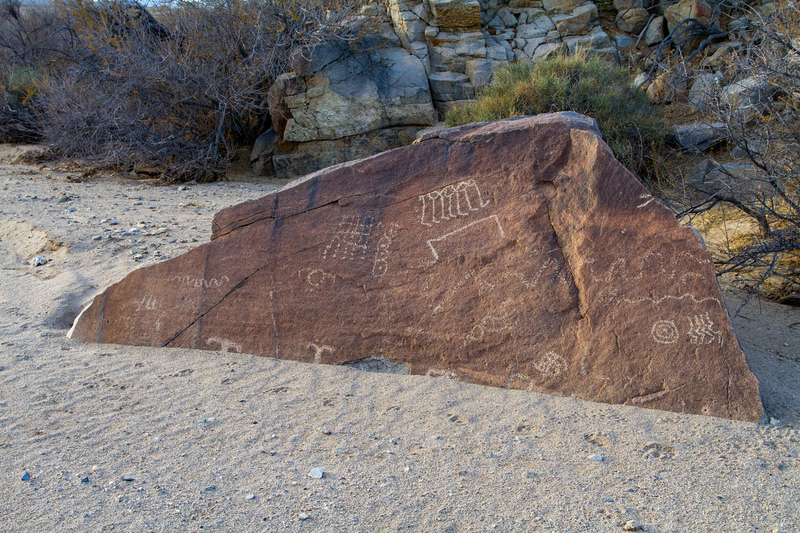 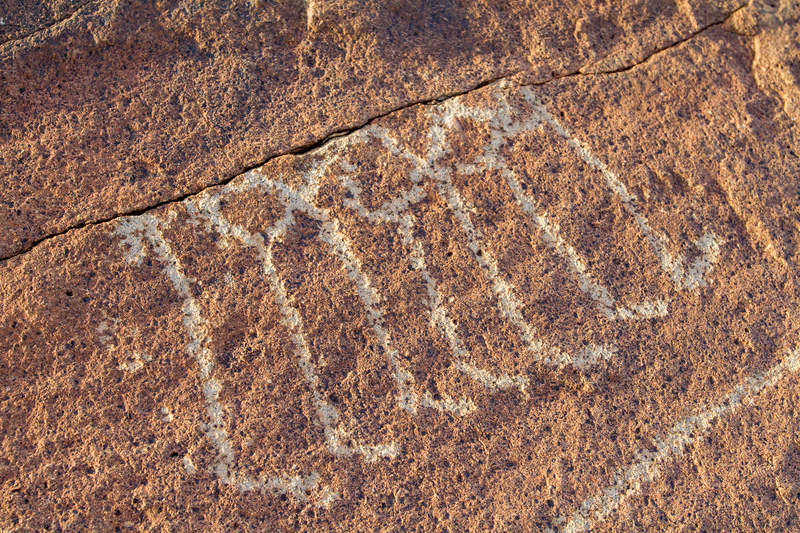 We suspect it served as a signpost to Indians to find other sites which aren’t too far away. 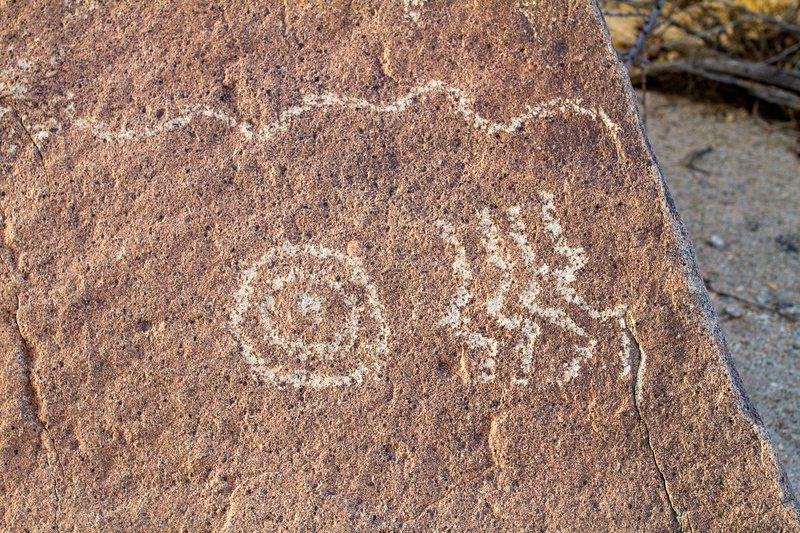 The ‘key’ symbols are a very interesting element in this panel. 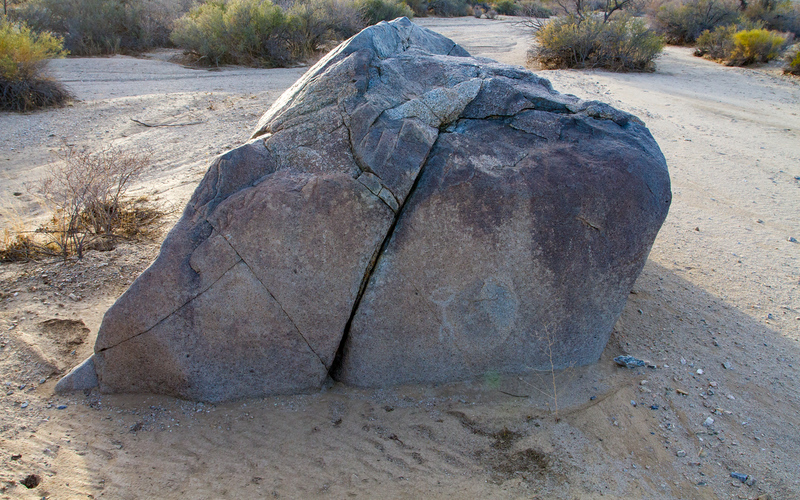 The boulder up ahead sticks out like a sign post. 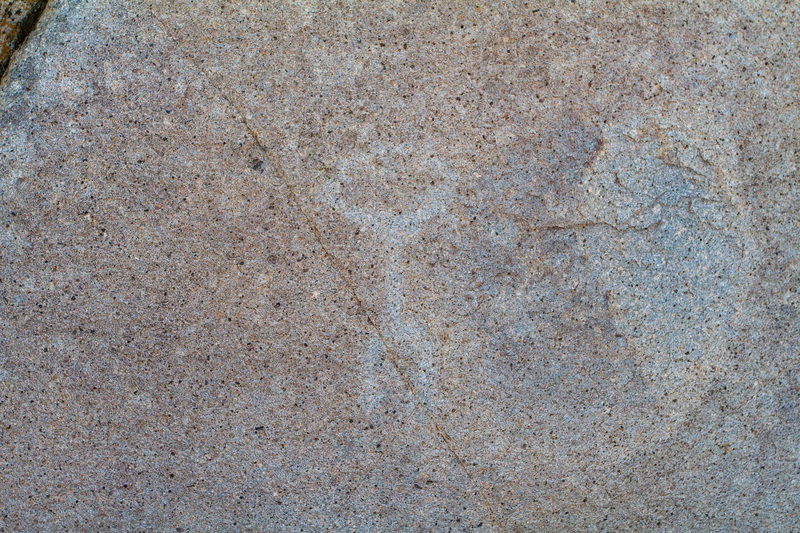 A nearby boulder has a single faint petroglyph on it.